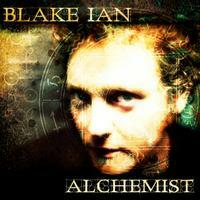 There’s a sense of mystery surrounding singer/songwriter Blake Ian. With an album cover quite similar to that of R.E.M.’s Lifes Rich Pageant (I’m showing both for all to see), Ian steers the college-rock scene away from the funky post-punk moves and into a decidedly folk-oriented approach. However, that doesn’t mean that Alchemist is a collection of whiny acoustic strummers. Ian knows how to – and does – rock. It’s just that there isn’t a band sound here; rather, Ian combines the breathless despair of the late Jeff Buckley with the grunge slam of Pearl Jam and the driving guitars of, yes, R.E.M. The R.E.M. 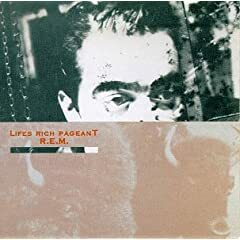 comparison goes beyond the jangling riffs and the CD cover; on “Car Radio,” Ian eeriely resembles Michael Stipe so much that I thought I had accidentally threw on, ahem, Lifes Rich Pageant instead. But on other tracks such as “In the Fires” and ‘A Little More,” Ian drinks to the memory of Buckley with a woeful yet somehow cathartic sensitive and wounded voice. Ian’s ability to shift from quiet to loud without losing any emotional impact whatsoever wows me every time I listen to Alchemist. It’s a keeper, one that you’ll return to for years to come.